WARNING: if you’re counting calories look away now! 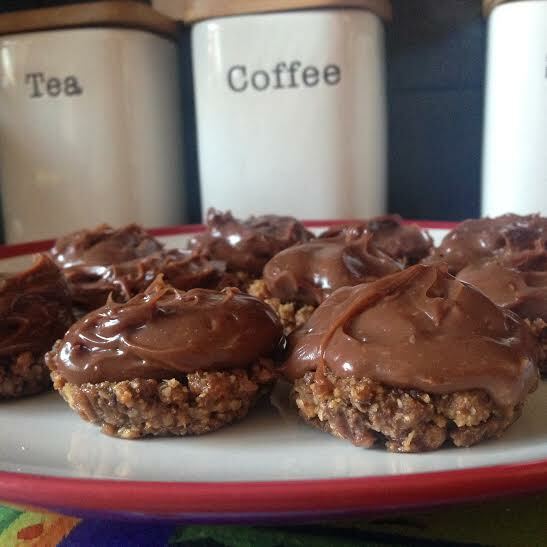 You may have noticed that most of my recipes posted on this site are paleo or have low sugar content but not these. Hannah’s Happy Pace is all about finding that balance and trust me, these are the perfect solution for when you crave a sweet treat. -Put the biscuits into a sandwich bag and tie tightly making sure you’ve squeezed the air out. Then take a rolling pin or something similar and bash the biscuits up until they’re really crumbly. – Melt the butter either in a pan on the hob or in the microwave and tip in to a mixing bowl along with the biscuits and stir until well combined. – Get a cupcake baking tray and line with cake cases. Put about 1 tbsp of the biscuit and butter base into each case, pressing down to form a firm cheesecake base. – Refrigerate for about one hour or until firm. – Add about 1 heaped tsp on to the biscuit base and then pop back into the fridge for about 40 minutes to set. 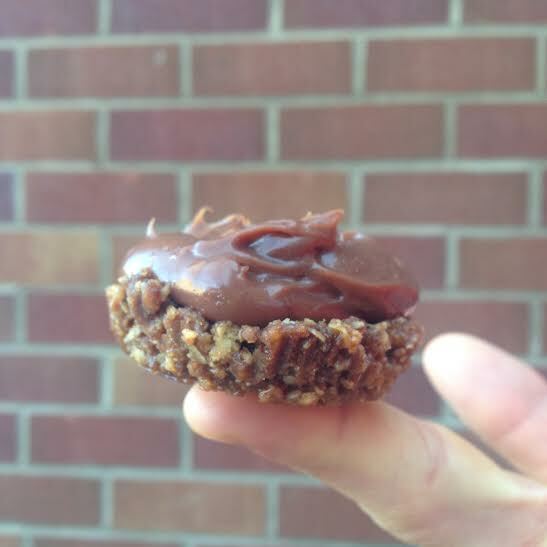 Once set, remove from the cake cases and voila – mini Nutella cheesecake bites, it’s as simple as that! To make it different, why not use Oreos as the base? Or even crumble some Reese’s peanut butter cups in to it as well. Or add some Nutella to the base mixture if you’re really a chocolate fan.